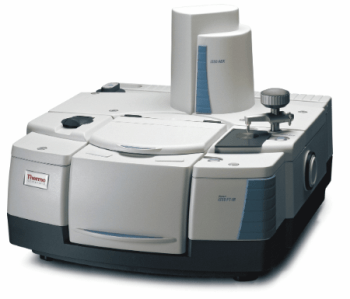 Solve analytical challenges with ease using the Thermo Scientific™ Nicolet™ iS™50 FT-IR Spectrometer, featuring purpose-built accessories and integrated software — making it an all-in-one materials analysis workstation. Designed to be highly flexible, the Nicolet iS50 FT-IR Spectrometer can be upgraded from a simple FT-IR bench to a fully-automated multi-spectral range system that can acquire spectra from far-infrared to visible. You can initiate novel ATR, Raman and NIR modules at the touch of a button, enabling access to these techniques without manually changing system components. Featuring purpose-built accessories and integrated software to easily solve analytical issues, the Nicolet iS50 is an all-in-one materials analysis system.